All of our free jigsaw puzzles have been removed. Since we're changing this current site to just free photos, it seemed like a good idea to remove the things that weren't used as much, like the puzzles. Today, online jigsaw puzzles are available in many different game sites and apps, so the need for download puzzles has dwindled in recent years. Our jigsaw puzzles are created using all of our own imagery - whether it's photographs, digital paintings or hand-drawn designs, we use our own imagery (except of course the custom puzzles which may be created using your child's own hand-drawn artwork), and we used Tibo Software to produce them. 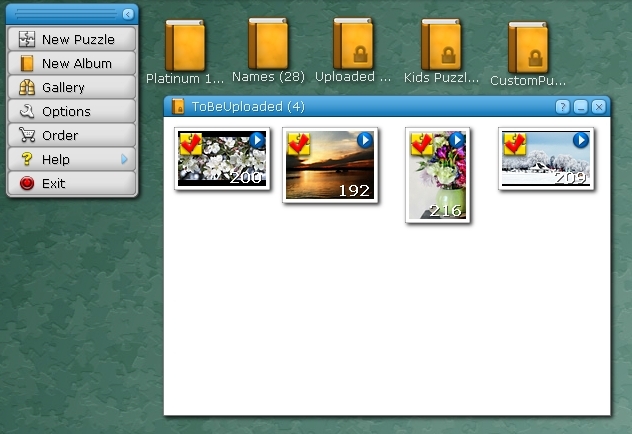 Anyone can download the free version of Tibo puzzle software, but to produce jigsaw puzzles in files others can use, you need to purchase it. To create the custom puzzle, we use a software program from Tibo Software called Jigs@w Puzzle 2 for which we purchased a license (so we could distribute our created puzzles for free). When you purchase the software, you will receive a variety of puzzles with it - what you receive and how many will depend on which license you've purchased. You do not, however, require the software to be installed in order to play any of the free puzzles produced with Tibo that you might still find on the internet. They are self-contained and can be played simply by downloading and opening the puzzle file. For that mater, you can produce your own puzzles using Tibo, and play them as often as you like!